You may remember last year that I was lucky enough to review the platinum service provided by Twinkl, the website that provides printable resources for teachers, schools, nurseries and parents alike. 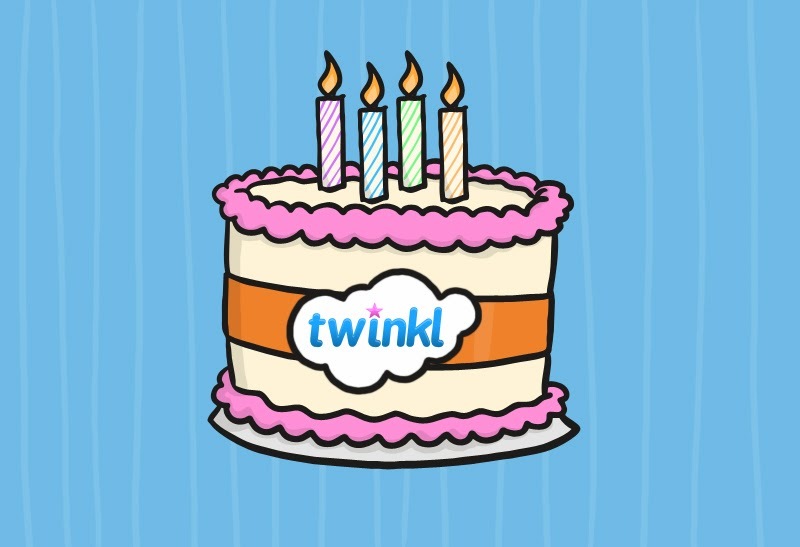 This week Twinkl are celebrating their 4th birthday and to get into the party spirit, they wanted to provide everyone with some fantastic fun and games, free resources and of course some amazing giveaways. With over 114,000 resources on the site already and more being added all the time, you can see why Susie and Jonathon's creation receives millions of visitors every month. I for one have found Twinkl to be helpful not just for my kids but for myself as well, it takes the stress out of learning as it provides you with the ideas so that all you need to do is print them out and have fun taking part in the activities. Twinkl are letting me join in the celebrations by allowing me to giveaway one of the platinum subscriptions to one lucky reader. TO have a chance of winning simply fill out the rafflecopter form below. This competition is open to UK resisdents only and will close at 11.59pm on the 19th March 2014. Just remember all entries will be checked so make sure you enter correctly. With a yummy birthday cake. With my family and a few close friends. W ego out for a meal as its a great way to catch up. Oh and I have a cake with candles - I have never grown up!! I like to celebrate my birthday with a nice day out with my husband and daughter. With family, friends and lots of tea and cake! With hubby. Spa day would be nice. With family. The more of them, the better! With family, either a meal or take away and cake! With my family, we normal have it at home with nibbles and a cake. A meal at my favourite restaurant, it's the only time I get to go there! I love a day to myself and a night with the family :) A perfect mixture of both! I would like to go on the Harry Potter Tour! i dont anymore, i celebrate my nanas life instead. With my family, bit of food, drinks and a cake. It's nice for us all get together. Family meal at home or out so long as I don't have to cook! Well it is only a day away and I will be eating cake and having a curry.